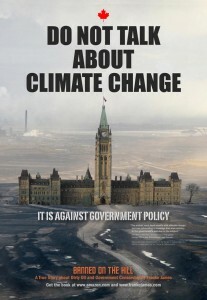 How do we get Ottawa talking about climate change? They are so busy selling tarsands oil and silencing anyone who mentions the fact that bitumen is highly polluting and contributing to climate change, that it’s a challenge, a big one. Well, today, thanks to seventy-three Indiegogo supporters, we have succeeded in putting climate change at the top of a site that every Ottawa-insider knows and reads. 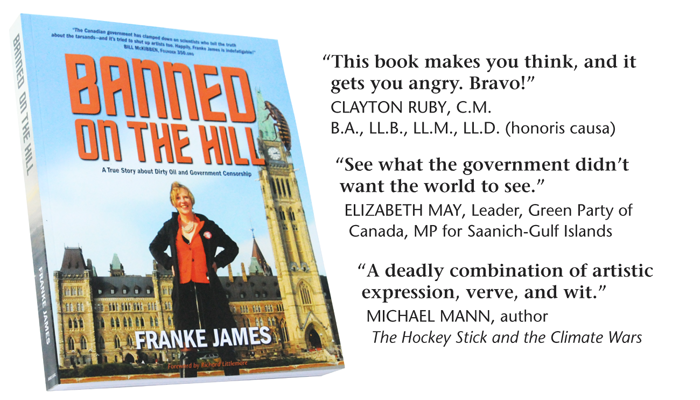 The Hill Times is “Canada’s politics and government newsweekly” and their readers include “influential players in Parliament, Cabinet, the Prime Minister’s Office, the Privy Council,” and more. Sorry, either Adobe flash is not installed or you do not have it enabledThe “Do Not Talk” ad bumped off this pipeline ad which was running last week. The ad, which is also destined for the streets of Ottawa (47″ x 68″ outdoor ads), is also debuting on the front page of Rabble, the voice of progressive journalists, writers, artists and activists across Canada.